Cali beads have an oval shape with tapered ends. 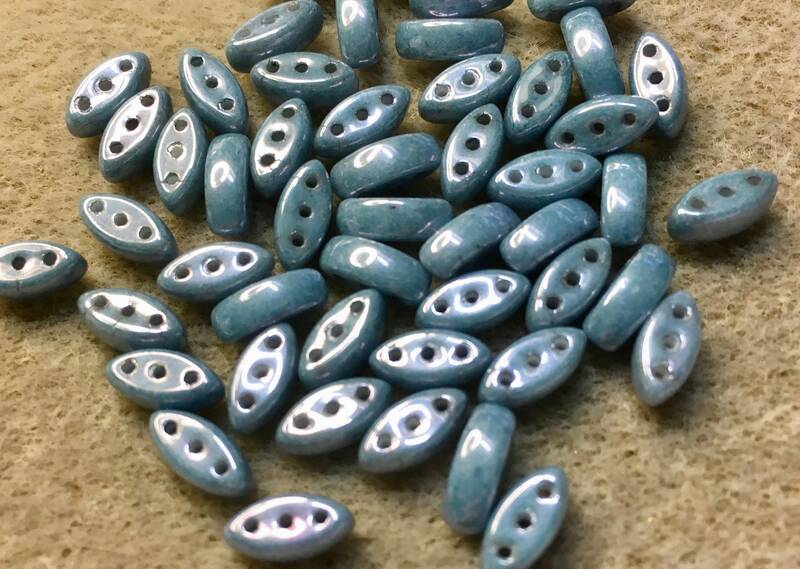 There are three (3) stringing holes that run through the center of each bead. Approx. 50 beads in a 2 inch tube.